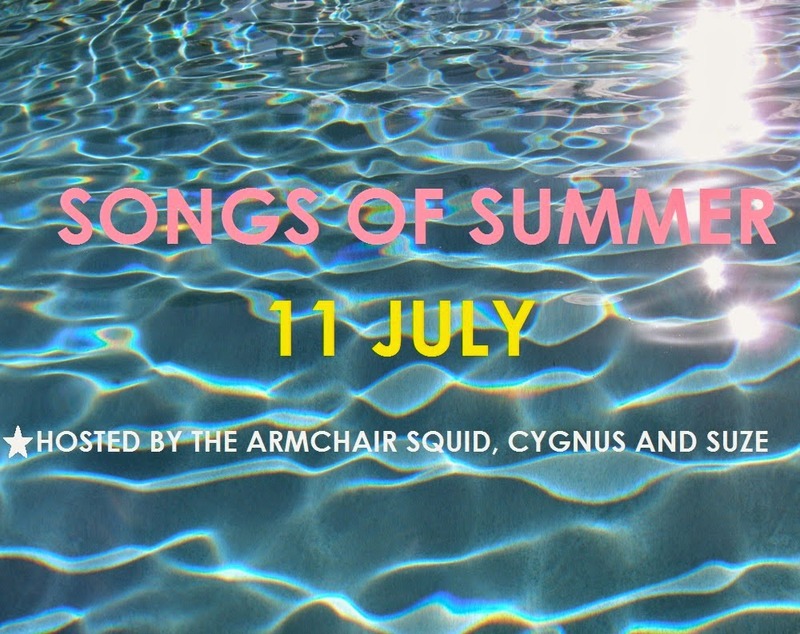 Welcome to the Songs of Summer bloghop, hosted by the Armchair Squid, Cygnus and Suze. Let's look at five favorite summer songs and and the memories that go along with them. 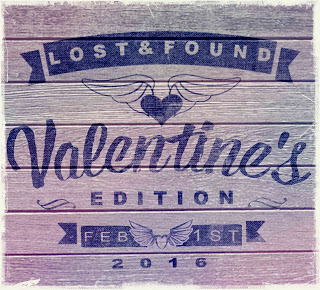 We're looking to build the perfect soundtrack to accompany us over the next few months. 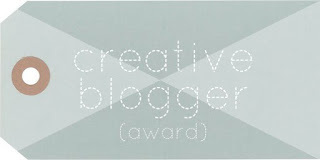 Please follow the links and visit my pals' most excellent blogs! The hosts asked: What songs bring back the sunscreen and beach-sand to you? What songs defined your one perfect summer, be it decades ago or just getting started with today's solstice? Thanks for including me, gang! I'm giving my reply a slight tweak - none of my favorite summer and music memories involve sand and sunscreen, believe it or not. 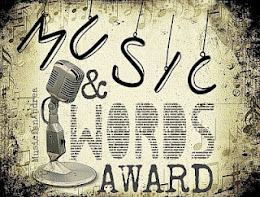 I've included the memorable songs plus situations that have burned these musical memories into my lobes. Walter Egan, thinking "this is what rock stars look like." 1. 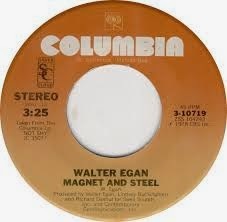 Magnet and Steel by Walter Egan Click on the Video Link! 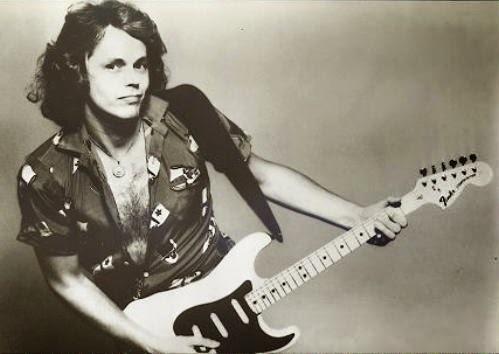 Lindsey Buckingham (yes, that Lindsey Buckingham) produced Walter Egan's album Fundamental Roll, and I'm told the song, Magnet and Steel, was inspired by Stevie Nicks. In the summer of 1977, my main squeeze was a dark haired guy I'll refer to as R; I thought he was the cutest thing walking on two legs (I counted them). He had all the qualities that make a teen aged gal go wild. First and foremost, he liked me. Secondly, he looked like he was 30 - though actually he was younger than me. He could shave at 8 a.m. and have a full beard by 5 o'clock - a sure sign he was a real man. Every girl remembers the first time it occurred to her that she was dating a man versus a boy. I've got to give him full credit as being a great boyfriend; he opened doors, said kind things to me all the time and smiled when I entered his orbit. He was romantic. Magnet and Steel was our song. At our very core, we seemed so in sync. How can I explain what we had in common to an outsider? Maybe it was this: we were both looking for a good man. Wish I knew that little gem of info at the time. Gratefully, we didn't actually have to break up and have hard feelings because his father had to take a job out of town and that was that. I still love this song, but I sometimes call it Magnet and Magnet. Summer of 1978 came along and everyone was in the throws of Disco Fever; okay, I admit I follow the crowd. Satin skirts, polyester and ridiculous mirrored heels have graced this frame. "Feathered" bangs? Check. Gold jewelry? Check. Tango Hustle - check. 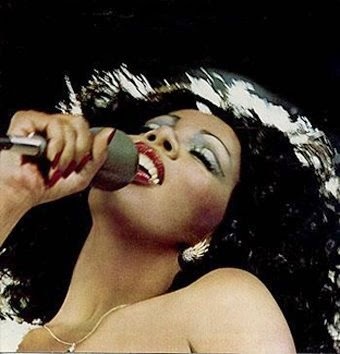 The Queen of All Things Disco was the great Donna Summer, who had several big hits, but my favorite was Last Dance. Everyone I knew pretended they were from the club scene of Saturday Night Fever that year, without the Brooklyn accent and bad language. Hung around with another good looking guy who shared my interests, and who also went off to find his dream guy later. There's a pattern here and a life lesson. Though we complain about the differences between men and women, take heed to my advice. If you find that perfect guy who loves musicals, theater, singing and dancing - have a discussion about all their preferences, while you're at it. "I am Ronnie, hear me roar!" Summer of 1986 and I was a divorced mom with two small children living in an old duplex that I hated, making barely enough money to get by and working culinary wonders with baloney and oatmeal. My boys were small and when I picked them up at daycare after a long day at work, even that rundown ancient duplex looked like heaven. I couldn't wait to finish supper tasks and have a moment to just STOP and sit down. With burning feet propped on my hand-me-down coffee table, we would turn on the radio and when a favorite song came on, I'd tell the boys, "Hey, this is a great song! Everybody dance!" In my mind's eye, I can still see them dancing around and hear Edward Joseph Mahoney, aka Eddie Money, singing Take Me Home Tonight and the great Ronnie Spector was the other half of this great rock duet. I also love Ronnie for dumping Phil Spector...his Wall of Sound had a bullet hole in it, we would later learn. If the world is fair, she mentioned his hair in her divorce petition. They allow that in California, I think. The last thing I had on my mind was dating or trying to be anyone's "little baby" just like Ronnie sang. Literally, my mind heard this song and thought "gosh, I'm glad I'm finally home," and that kind of cracks me up now. I sang Take Me Home Tonight to myself (and I did take me home). With some great songs, the original meaning gets lost somewhere between the songwriter and the listener. In 1986, I was just so tired and beaten down. All I wanted to do is raise my boys and get through another day, but we loved to listen to music. It was free, and it took you away, like an instant vacation. Okay, I basically liked the eye candy guys. Sue me. This song was released in 1987, peaked at 1988, but doesn't enter my "summer favorite" list till much later. This cassette was one of many well worn cassettes in my car; I played it all the time. By 1990, I had met my dear Future-Hubzam, though I didn't know it at the time. Heck, I didn't even want to get married at that time. I figured that I was the idiot that picked husband number one, so I really couldn't be trusted. Future-Hub and I had planned to get together one weekend and I decided to get some sort of present for him. I'm nice like that. There was this great new gift basket store in my home town that I loved. You walked in, picked out a basket of your choice and then drifted through rows of bins with really cool little gifts and foods to put in the basket; it reeked of clever. You could virtually create any theme for your basket that you desired. My basket theme was "Aren't I the Best Gal Pal Ever Who Wasn't Pushy or Clingy Like Most Chicks?" Admittedly, it was hard to find a delightful summer sausage that went with that theme, but I nailed it. You'll just have to take my word for it. Future-Hubzam and I didn't have a couple song at that time, and as I watched the clerk put the finishing touches on my amazing basket of all things wonderful, I thought, "Eureka! I'll get a copy of Hands to Heaven and put in there - it would be the perfect song!" I really AM nice. It was a great idea and I only had to go to forty or so stores, since it was no longer on the charts, its heyday long past. And so, the day arrived when we were getting together, and armed with my great present, each item carefully chosen specifically for future Hubzam, I proudly gave him the gifts. A look of genuine surprise appeared on his face; absolute pleasure! Score! He dug through the basket, carefully examining each item. When he came to "our song," the wonderful Hands to Heaven that I had searched for all over the greater Youngstown area, he handed it to me and said, "Oh, you can keep this." My fiery hot laser beam eyes nearly ignited the rest of the basket. He didn't notice. I quizzed him on his preferences in theater and musicals. I swear by the Ronnie Milsap tape that Georgia boy had in his glove compartment that this guy did not know theater. Score, again! 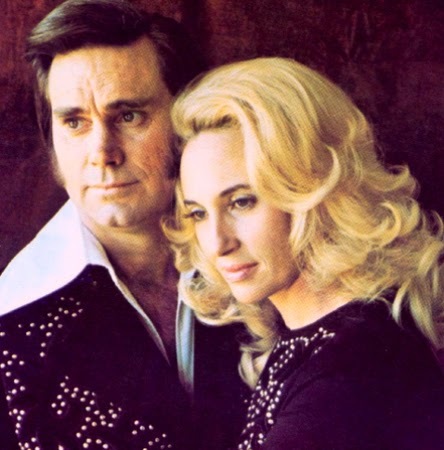 George Jones and Tammie Wynette. Not my cup o' tea, but brilliantly irritating to teens. Summer of 1999! Well, this might not fit the bloghop bill exactly without explanation. Though this was originally released in 1976, I wouldn't be caught dead listening to George and Tammy. Sorry, George, but I swear on your alcoholic lawn mower riding reputation that country music was not my style. Tammie, what were you thinking? That dude wears more hairspray and sequins than you do. Does he like musical theater? Anyhow, I'm a rock and roll girl. By 1995, I had married my second and last husband, in spite of his lack of appreciatation for the group Breathe. My two boys were teens or pre-teens, it's all a blur now. In 1997, we were surprised with one more boy to guarantee that fully all of the estrogen would be leeched from my body by all the testosterone that floats around my house. 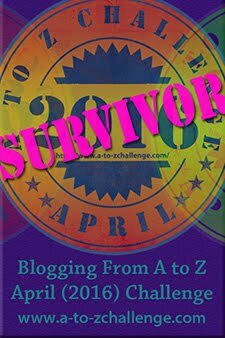 Around 1999, I felt like superwoman as I juggled potty training, drivers training and homeschooling. There was a fifteen year gap between my oldest and my youngest, and we had some of the trials of raising teens. One of my fondest memories took place on one of the many long drives to the relatives for a summer vacation romp. Hubzam's family lives six hours southwest from our home; my family lives about eleven hours north of us. Our roadtrips are a bit of a long haul and the kids get antsy; but the boys were always a relatively captive audience. Juggernaut, Magoo and toddler Gonzo always had a front row seat at what I liked to call our rolling concert. Hubzam and I would pick the corniest country song we could think of and sing it loud and proud, just to irritate the stew out of them. It worked so well, and I still chuckle at the thought of little voices pleading, "Stop!" If the situation were reversed, they'd do crazy things to me - and I have a picture of someone's bare bottom with a smiley face drawn on it to prove it. Juggernaut, I'm pretty sure it was you...quit playing with my camera, and use a moisturizer. Please be sure to visit others sharing their Songs of Summer. Feel free to add your name to the list as well. Great list, Cherdo! #3 is the only one I knew before. I love how you tied them all to various life stages, too. Jimmy crack corn and I don't care - everybody sing! Hello, dear Cherdo! Thank you for giving us a very interesting bio along with your summer songs. It's nice to learn more about you in this post. You can't fool me, dear friend. Based on your clues - older looking man, dark hair, 5 o'clock shadow stubble and the initial R - it didn't take me long to figure out that your summer squeeze in 1977 was none other than Richard Milhous Nixon, 37th President of the United States! "Magnet and Steel" was also a biggie for me. (I once had a weird dream that I was a magnet for Remington Steele.) In 1977 I got divorced and began a 13 year rumspringa - wilding - bachelorhood. I hit the bars and discos hard and the whole period is mostly a blur. In 1986 I was working at a television station patterned after MTV and Eddie Money's video of "Take Me Home Tonight" featuring Ronnie Spector was played often by our VJ's. Thanks for another week of education and fun, Cherdo. I wish you a safe and happy weekend, dear friend! P.S. - Don't miss tomorrow's post on SDMM. I'll be all gussied up and doing my best impersonation of Liza Minnelli as I present my annual salute to Broadway musicals and show tunes. Be there! I love musicals - I'll be there, you can't keep me away. Don't skimp on the Liza make up - go big or go home! MTV used to be my favorite thing when it first aired (now it is flotsam). In my mind, that was a dream job. MTV was the only reason I got cable when I was nearly scrapping the bottom of the budget barrel. It's so funny that Sir Shady brought up Richard Nixon. I, too, thought of him when you mentioned the five o'clock shadow. And I love, love, love Broadway. OKAY, OKAY, I CONFESS! I dated a sad, post Watergate Nixon! I just couldn't hide it. Whew! It feels good to get that off my chest. Fun list! I remember that Walter Egan song and liked it back in the 70's. But "Last Dance" was too disco for me back then -- I was a rocker, lol! But, it is catchy and brings back memories. Loved the Eddie Money, and I enjoyed reading all the personal memories associated with the songs. He let's me play it while HE mows. Apparently, I can't write a coherent sentence. I loved punishing my song by singing. The Hurricane and I would launch into Copacabana, and that poor teen-aged boy just about lost his mind. Your choices are great. I added a bonus (homemade) video after you visited my blog. I hope you'll check it out and laugh. Oh, it was awesome, Janie!!! My youngest acts embarrassed at times. It irks me. I stop in my tracks, put my hand over my heart, and threaten to belt out The Star Spangled Banner. It is the ultimate reality check and usually does the trick. Especially after Hubzam adds, "She'll do it, son." More aptly, it was four favorites and a taunting mockery. Thanks for stopping by, L.G.! Wow, these are some great songs. The list and the memories span a few decades. I really like that. 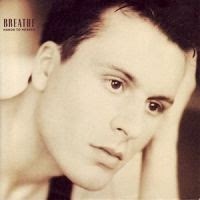 Donna Summer and Breathe are definitely songs I remember from childhood. Check your link on the original blog...it gave me an error, but I found you by clicking on the cached copy, then finding my way to your main URL from there! It's going to http://cherdoontheflipside.com/ so maybe it's that the www is missing? Hmm...a mystery. Thanks for letting me know, Stephanie! 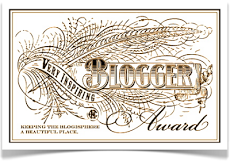 Love your blog, by the way. Donna Summer rocked the summertime Cherdo. A wonderful list. Very nice musical walk through your hsitory. I especially love the Eddie Money story. Cool list spanning some time here. I like it. Last Dance is a classic ;) Thanks for shaing. It truly is; she was amazing. Cherdo! That's what rung in my head when I got to your post. I have to say what you've written above just nails something fundamental and I love it. I actually got a little teary when I got to the part about you telling your boys to dance, in the midst of everything. That's Cherdo, right there, girl. And I can't believe you picked 'Hands to Heaven!' I just heard it yesterday and thought, a lot of people don't care for this one, but it holds up for me. Suze, you're sweet! We do the best we can do and go on, right? Your comment is better written than most of my posts, and I thank you. I don't know any of these songs (I know, I was born at the wrong time and missed all the good music), but I love all of your stories. Especially the one at magnet and magnet. ;) I guess it just goes to show that connections between people are connections between people no matter what. Good picks, but what I like what you had to say even better than what they had to sing. Good stuff! Okay, so I'm hooked. Count me in as your newest groupie. I'll take you! Glad you enjoyed that big scoop o' crazy; appreciate your comments. Sometimes, you just have to call it what it is. Thanks, Stephanie (still loving your blog!). 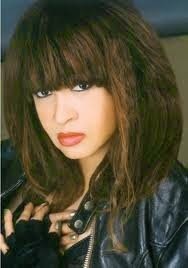 I saw Ronnie Spector last year, and she still has it! She told her story, and I walked away wanting to beat the tar out of Spector. Great list-a couple of those songs really take me back Sadly, "back" is to the Jurassic period! Owwww, Larry. My numerous birthdays are punishment enough. Plus, I love your playlist. Thanks, V! Glad to see you on the flipside! Fantastic post, Cherdo. I've said it a few times over the past 24 hours, but I'll say it again: I'm wowed by how songs can help us pull out these deep autobio reminiscences -- and how they can help make sense of our jumbled, crazy lives. Great stories! 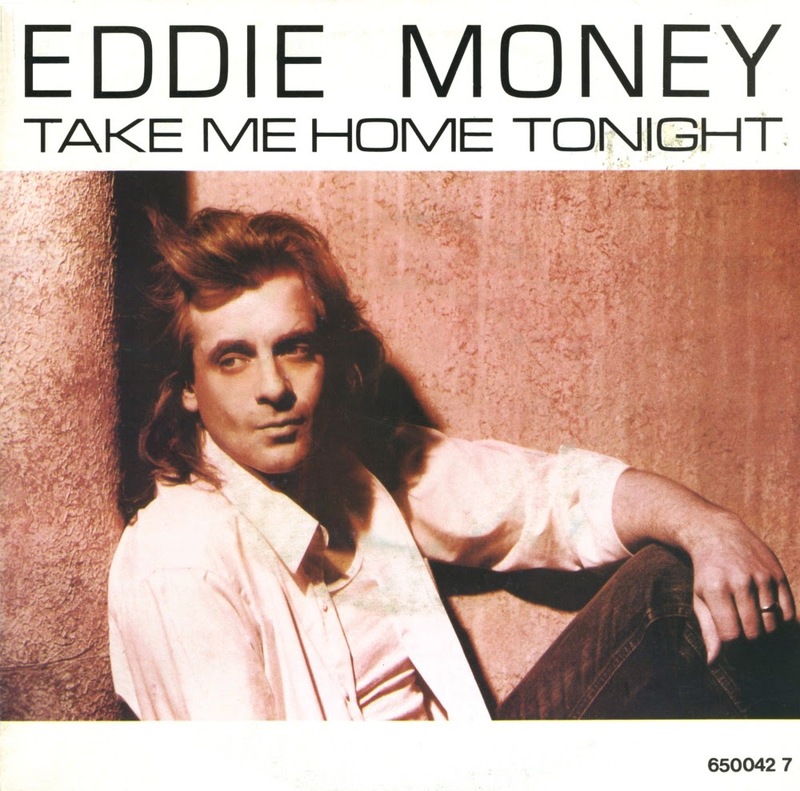 I love the Eddie Money song (really, who doesn't?) And I had totally forgotten about "Hands to Heaven!" I think they played that at the one high school dance I actually went to. Yep, girls loved it, guys hated it but definitely tolerated it for that "slow dance" ;-) Thanks for sharing your list and your stories! Like I said...eye candy. I always loved a slow, romantic song. The first song I ever danced to (at a slow dance) was "Without You" by Harry Nilsson. Thanks for stopping by on the Flipside! Interesting list and you introduced me to some new songs. Take Me Home Tonight is one of my all-time favorites. Thanks! 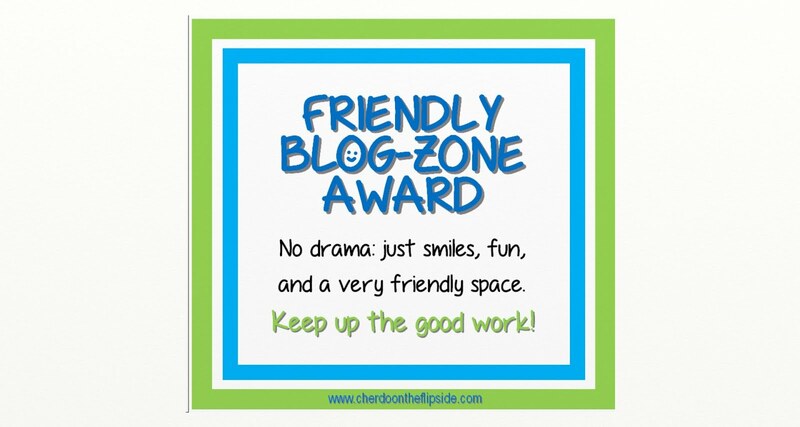 You have a lovely blog, MS.
Aww, love the idea of breaking out into a happy dance when a good song comes on. You do realize that linking me to this only PROVES MY POINT that you should join me on a Soundtrack trip. This was so much fun and well-written. Magnet and Magnet. hahahahaha. Also, you made a reference I didn't get. <<<---his Wall of Sound had a bullet hole in it. What does that mean????? Anyway, thank you for sending me here. I really loved it. Ole' Phil shot a lady...wacky x 10.